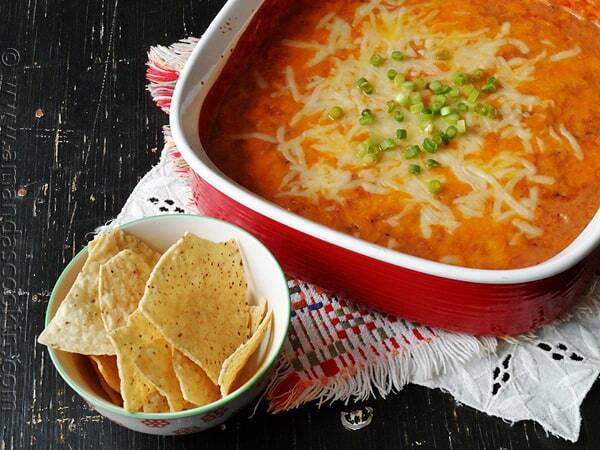 Bean dip recipes are a favorite among partygoers, especially football fans. At least the ones that I know! 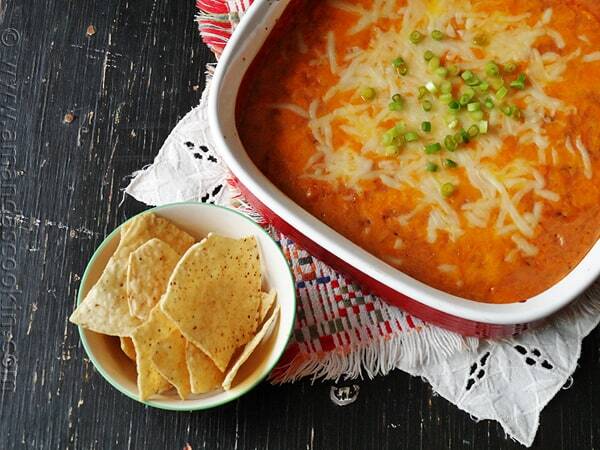 In case you’re wondering, con queso means “with cheese”, hence the name Con Queso Bean Dip. 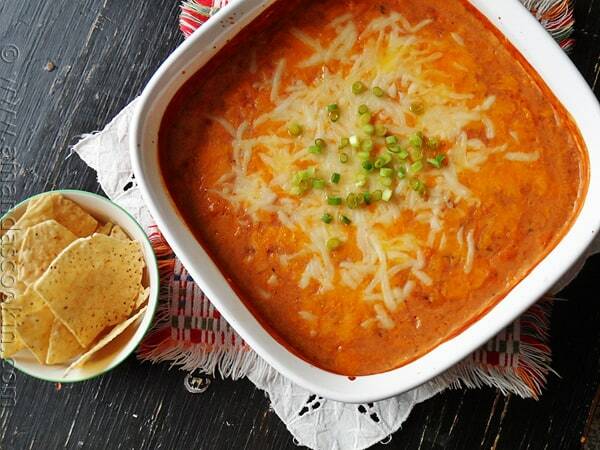 This dip is thickened by refried beans and flavored with salsa and cheese sauce. 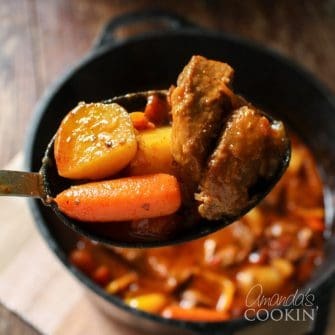 You can even add your own spice to zest it up a bit! 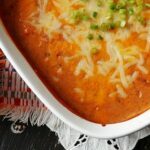 The fun folks over at General Mills asked me to come up with a game day recipe using one of several Progresso Recipe Starters. I was happy to accept that challenge. After all, Progresso soups have always been a staple in my pantry, my oldest son won’t eat any other chicken noodle soup! I decided to create something using the Creamy Three Cheese flavor which is perfect for fondue, macaroni and cheese, casseroles and more. There are plenty of bean dip recipes out there, so for mine I decided to use my homemade salsa. You can use any salsa you like. For this dip to be creamy, you’ll need to run chunky salsa through a blender or food processor first. The steps are simple and you can print out the full instructions below. The basic gist is that you heat the cheese sauce and add the salsa. After stirring up the refried beans, mix it in with the cheese mixture. Transfer it all to a casserole dish and add some shredded cheese before putting it in the oven. When it comes out of the oven, stir that cheese into the bean mixture and sprinkle with some more cheese. Allow it to cool. 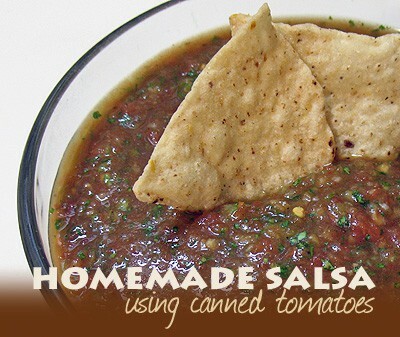 Serve it with your favorite tortilla chips and watch it disappear while cheering for your favorite team! Need more ideas for using up those refried beans in the pantry? Try some of these tasty dips! 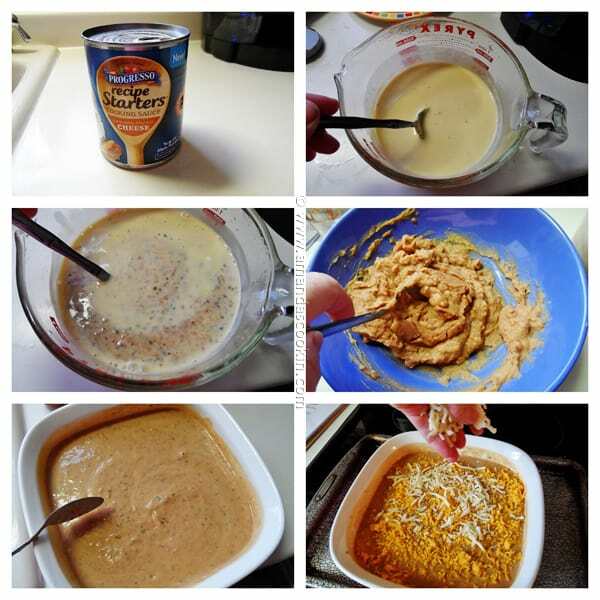 Carefully combine the cheese cooking sauce, salsa and refried beans, stirring until homogenous. Pour mixture into a casserole dish and top with 1/4 cup each mozzarella and cheddar cheese. Bake for 30 minutes, uncovered. Remove from oven and gently stir the melted cheese into the dish. Sprinkle remaining mozzarella and cheddar cheese on top and allow to cool for 20 minutes, or until casserole dish can be handled comfortably without oven mitts. Garnish with chopped scallions and serve with tortilla chips. Great idea… this came out beautifully! With the Superbowl just around the corner, the timing of this couldn’t be more perfect. I’ve seen those recipe starters in the grocery store but haven’t tried them yet. Glad to read a recommendation for them. And the bean dip looks really fantastic!